Your day-by-day itinerary now includes Six Flags Magic Mountain as well as Disneyland Park. Pack the 3rd (Wed) with family-friendly diversions at Universal Studios Hollywood. There's still lots to do: take a leisurely stroll along Santa Monica Pier, appreciate the extensive heritage of Hollywood Walk of Fame, and see the interesting displays at The Grammy Museum. To see where to stay, reviews, other places to visit, and tourist information, go to the Los Angeles route maker app . Melbourne, Australia to Los Angeles is an approximately 17.5-hour flight. You can also do a combination of flight and train; or do a combination of flight and bus. The time zone difference moving from Australian Eastern Standard Time (Victoria) to Pacific Standard Time is minus 18 hours. Plan for warmer temperatures traveling from Melbourne in July, with highs in Los Angeles at 33°C and lows at 22°C. Wrap up your sightseeing on the 6th (Sat) to allow time to travel to San Francisco. Kick off your visit on the 6th (Sat): see the interesting displays at de Young Museum, then snap pictures at Golden Gate Bridge, then go for a walk through Fisherman's Wharf, and finally explore the wealth of natural beauty at Alcatraz Island. 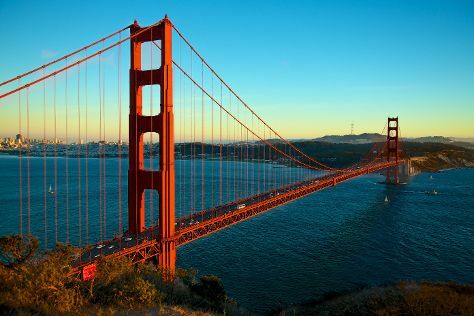 To see traveler tips, where to stay, other places to visit, and tourist information, you can read our San Francisco journey planner . You can fly from Los Angeles to San Francisco in 4 hours. Other options are to do a combination of flight and train; or drive. Prepare for little chillier weather when traveling from Los Angeles in July: high temperatures in San Francisco hover around 26°C and lows are around 16°C. On the 7th (Sun), you'll have the morning to explore before heading back home.